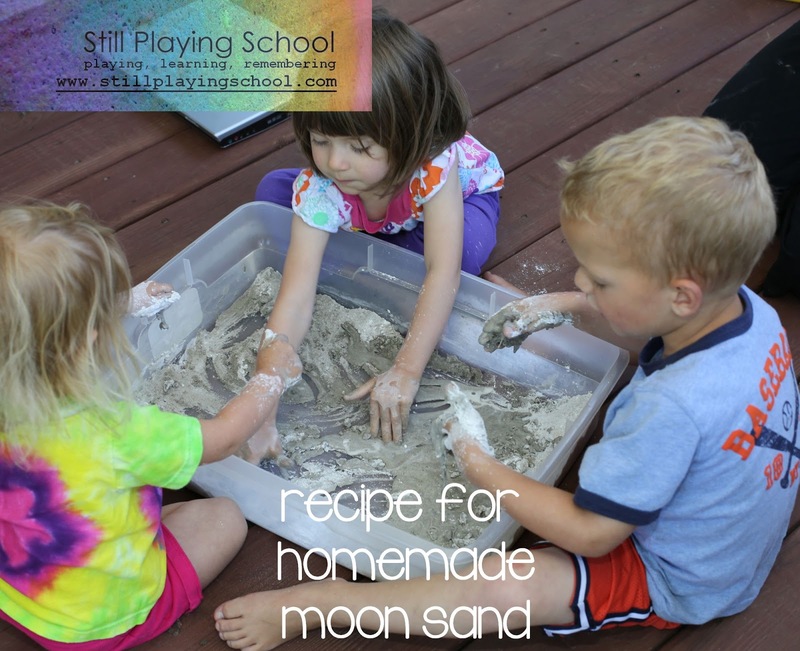 Our home school preschool made homemade moon sand for our ocean theme. 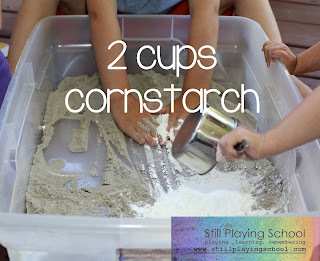 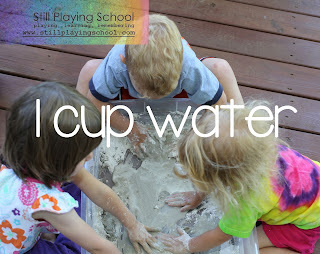 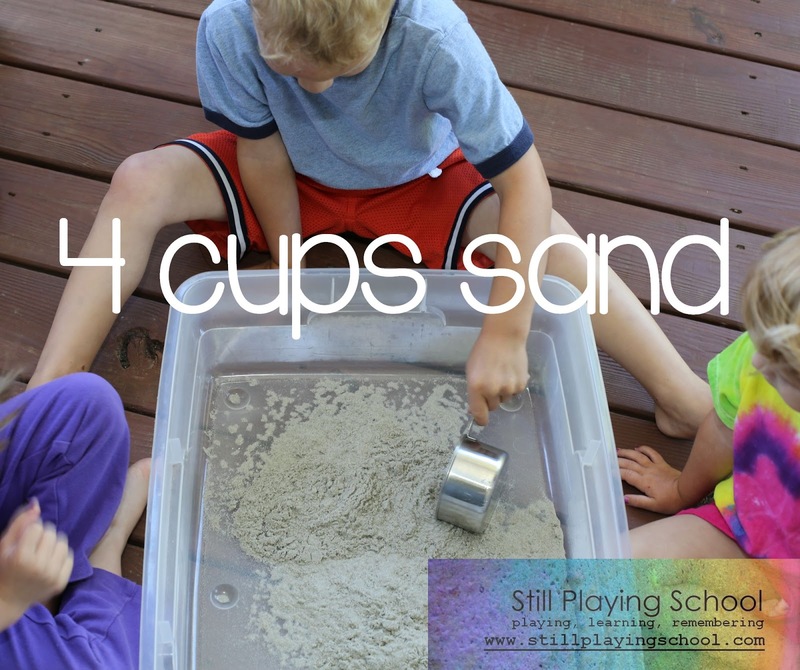 The recipe is one part water to 2 parts cornstarch to 4 parts sand. 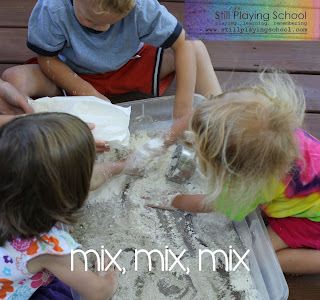 It was fun to let the kids measure and mix. I didn't get a finished product picture because we all dug in, but it makes mold-able, shape-able sand.